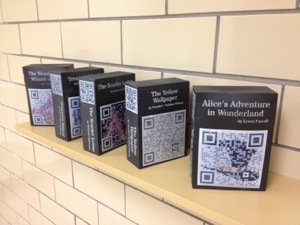 Made black porcelain books with qr codes that link to the online book. 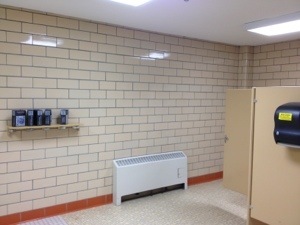 I made the wooden shelf that plugs into the existing coat hooks and matched the tan color to the bathroom stalls. My “intervention” project for my class ceramic sculpture. Categories: Uncategorized | Tags: books, ceramic books, Mobile library, qr, qr code | Permalink.